Who is the sexier blonde referee? 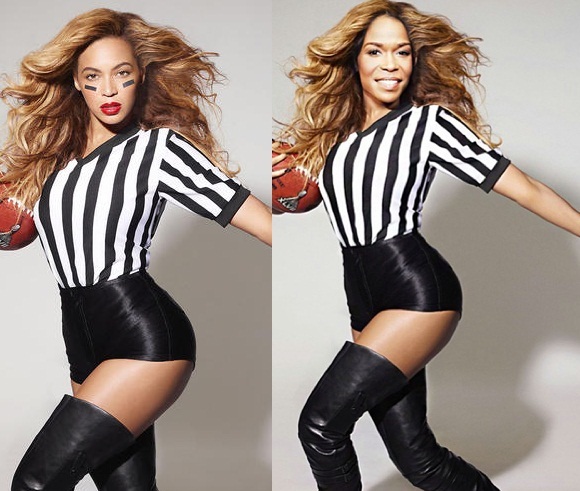 Beyonce or Michelle Williams....Read more to decide! This is one of the reasons we love Photoshop! We get to decide who slays as a referree! We certainly hope these two and Kelly Rowland reunite on SuperBowl Sunday! Their Lovesongs album is available in stores now! Now getting back to the topic: Who is the sexier blonde referee? Michelle vs. Beyonce!Decide in the comment section below!